Concealer has always been my best friend for the past years and I have been finishing up concealer after concealer because I really need them to hide my undereye circles on a daily basis! READ AGAIN: ON A DAILY BASIS! So given a chance to purchase makeup, I'll always go for concealers and face powders (to set) because I use them up the most quickly. I recently chanced upon an inexpensive brand called Deborah Milano! Known for their base makeup, I had to pick this up after trying out testers. The feel and texture is just right so I went ahead and go for shade 3 which is their darkest, at the same time, has the most orange tone to it to correct my dark undereye circles. 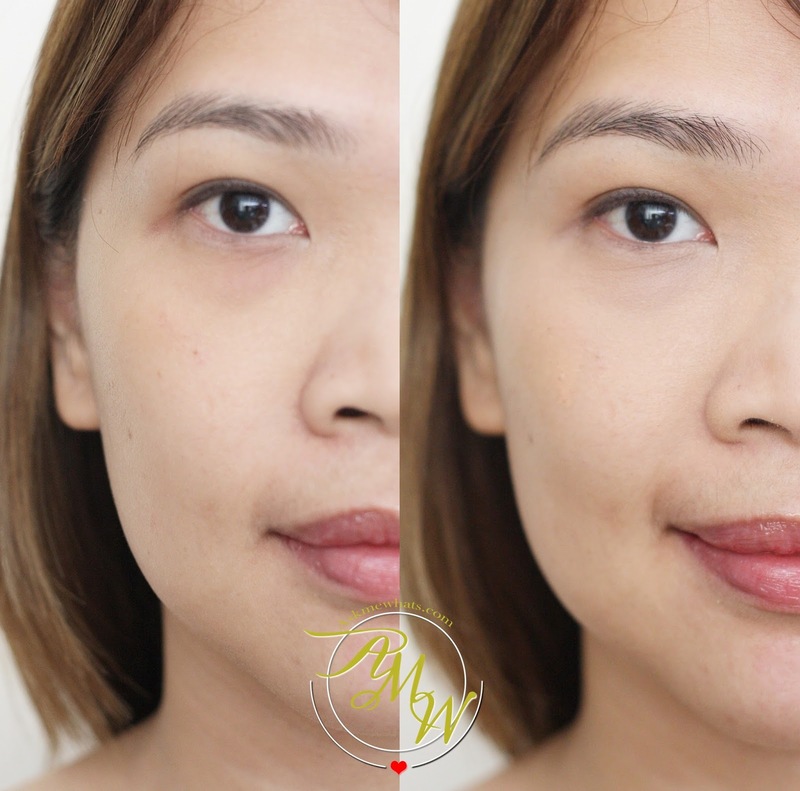 A liquid concealer that naturally minimises and disguises minor imperfections and blotchy complexions. With its creamy consistency, the concealer glides over skin and blends perfectly with the complexion, avoiding an unattractive “masky” effect. Formulated with “soft focus” micro-spheres that change the angle of light reflected on the skin, the concealer creates an optical effect that minimises imperfections. The result is luminous, firm skin and remarkably less visible dark circles. Housed in my most favorite liquid concealer packaging of all times --- the simple tube packaging with doe-foot applicator, this is by far the best and easiest liquid concealer packaging to use (in my humble opinion). This particular shade reminded me so much of my favorite Salmon Concealer from Skinfood! Less creamy, more liquid in texture thus making it easier to blend! The big question is, does it have the right "thickness" to cover up my dark undereye circles? Application is quite easy, since I use this particular tube only to myself, I like to dab (using the doe foot applicator) directly to my undereye area. Dabbing a few (or more) dots as shown on photo below. Using clean fingers, I blend it with a dabbing motion or when I'm in a hurry, I use a synthetic foundation brush or Oval Brush with a patting motion. I like to "pat" with a bit of pressure as my "final touch". For users with dry skin on that area, you can actually skip following up with a setting powder because it dries up with a nice powder finish! If you have oily skin, feel free to set with a translucent powder or powder foundation (for more coverage). After using this for a month, here are my thoughts about the said fluid concealer. Packaging is simple yet amazing. Easy to tote along. Blends pretty well on skin. Can help brighten up the undereye area too. Does not crease or dry out the area if applied correctly. Will lessen undereye darkness but won't complete cover them. Pigmentation I would say is around "medium" because I had to apply more to achieve more coverage. Dabbing is really the KEY to achieve better coverage. Overall, I would call this a great daily concealer! I like the lightweight feel and how it doesn't creases or dry up my undereye area. How do you like the effect of Debora Milano Dress Me Perfect Fluid Concealer on me? Definitely works for you. And you have amazing skin by the way. 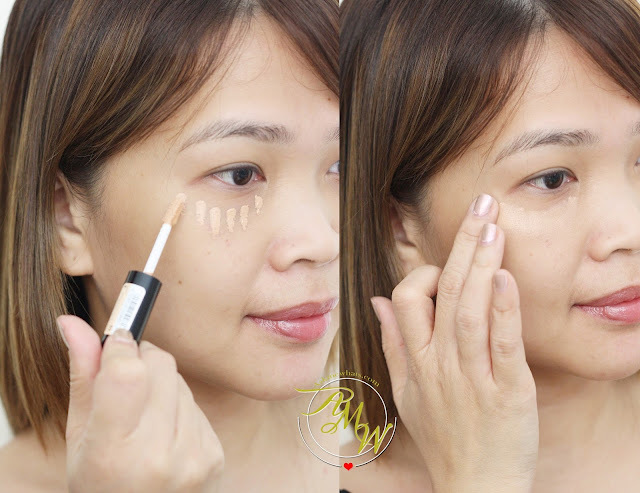 It looks great it brightens and lifts your eye covered with this concealer.